Raise your hand if you’re ready for another amazing Amplify Austin Day! With less than two weeks until the big day, we’re in full on prep mode. We’ve marked our calendars for March 1 at 6pm and we’re ready to go. The only thing left to do is tell all you fine folks about it! Our goal this year is to raise $20,000 to support our High School Scholarship Program… something many people probably aren’t very familiar with. It’s just not a story we’ve told much. Long story short, it’s because it used to be a lot more complicated! We had a long, drawn out application process and many complicated rules. In 2016, shortly after our name change, we revamped and SUPER SIMPLIFIED our scholarship program. You see, high school blood donors make up about 12% of our total blood supply each year, and it’s important to us that they’re recognized for their dedication to our cause. They do a ton to help our local blood supply, so in order to thank and acknowledge their hard work, we created a program that will support their educations, hopefully well into the future! So, for each donation made at a high school blood drive, we give $15 back to the school at the end of the school year in the form of a cumulative gift. In the 2016-2017 school year, we held 106 blood drives at 56 schools in 23 school districts across 8 counties…. so that meant we were able to gift our partner schools with $70,335. Schools get to decide how they’d like to distribute those funds, and there have been some really creative uses. See, for example, what Cedar Ridge High School did with their funds. You can read some of the other stories on our Amplify Austin fundraising page. 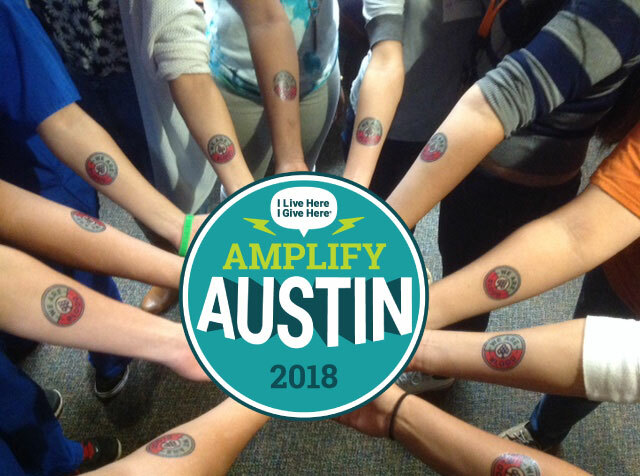 Are you ready to help us Amplify Austin? If you’re loving what you’re hearing, and you’re ready to jump on board to help us raise the money we need to keep this program alive… well, you’re in the right place. It’s really pretty easy! 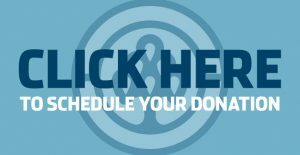 You can give as big or as little as you’d like, and even schedule your donation ahead of time. Or, if you’re a real go-getter, you can even become one of our esteemed fundraisers! 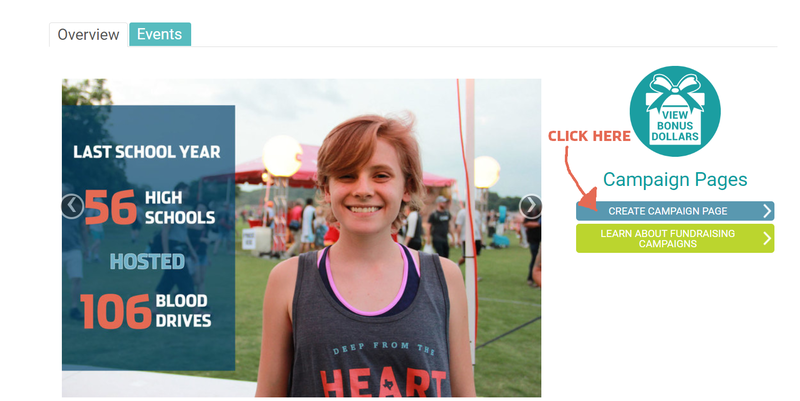 We’ve compiled this detailed, step-by-step guide to help you get set up with your very own fundraising page. *Please note that once you hit submit, you won’t be able to make any changes to your page! If you find you need to make some changes, send our communications manager, Kiley, a quick email at kbatjer@weareblood.org and she’ll get you set up. Once you’re logged in, start building your We Are Blood fundraising page! Pick a title that you love! In the summary statement, tell the world why you support We Are Blood. We Are Blood is fundraising to support the youngest of these local heroes, and one of the organization’s best kept secrets: a scholarship program that supports local high schools who host blood drives. 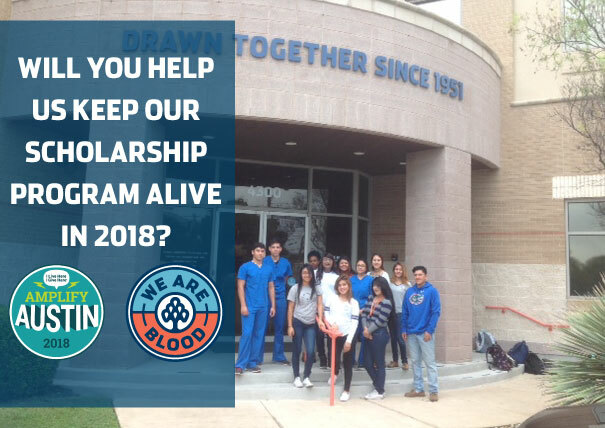 For each donation made at a high school blood drive, We Are Blood gives $15 back to the school at the end of the school year in the form of a cumulative gift. In the 2016 -2017 school year, We Are Blood held 106 blood drives at 56 schools in 23 school districts across 8 counties…. so that meant they were able to gift partner schools with $70,335! I hope you’ll join me this year in donating to support this awesome program. 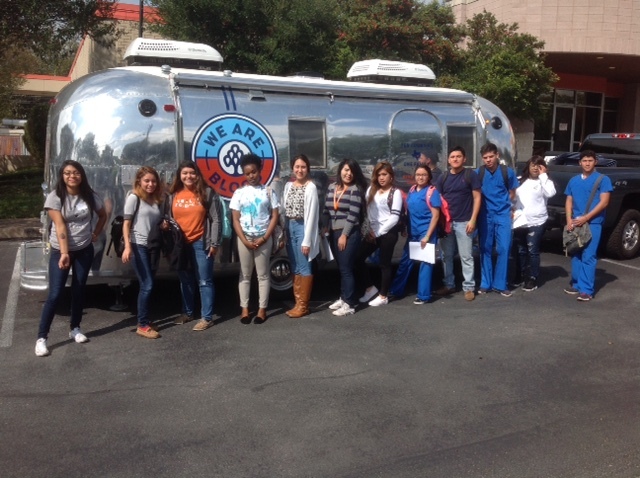 Students who host drives not only learn leadership skills, save lives in Central Texas, and learn that donating blood is an easy way to give back throughout their lives… they also earn funding that their campuses can use for educational opportunities, scholarships, or to pay it forward to other local nonprofits. 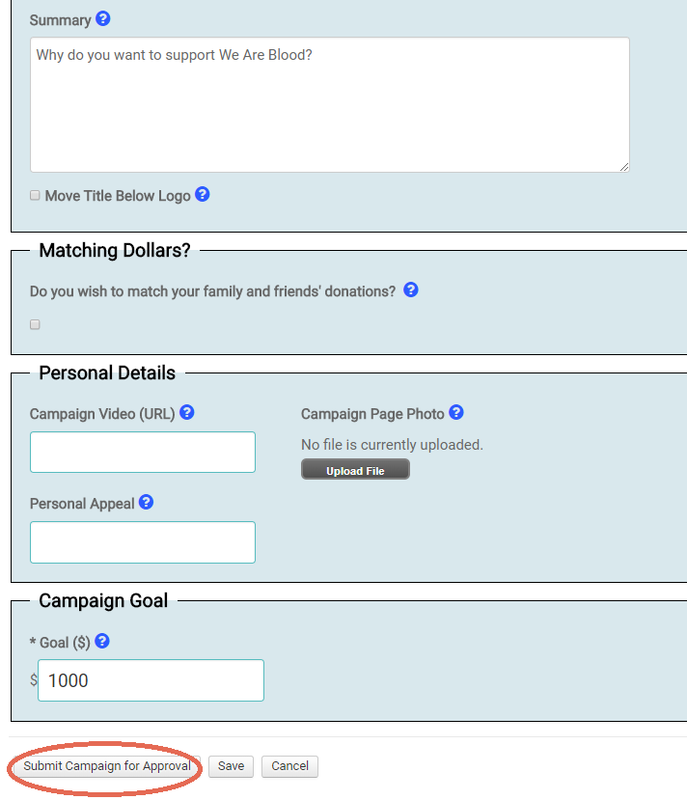 This is also the section where you’ll decide on your fundraising goal and add photos. You’ll get an approval notification from us in about 24 hours letting you know your campaign is good to go. And remember, you can’t make any changes once you submit for approval! Send Kiley an email at kbatjer@weareblood.org if you need any assistance. *If you need more in depth assistance for the set up process, click here. What to do when your campaign is live? 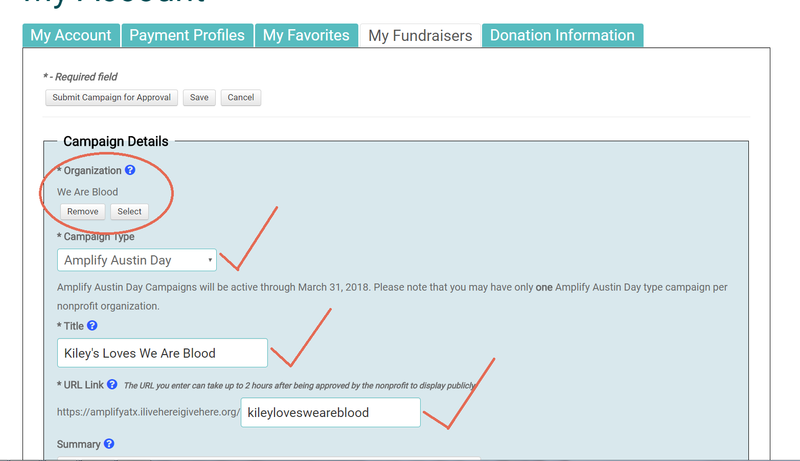 Once you’re logged into your Amplify account, make sure you’re under the “My Fundraisers” tab. 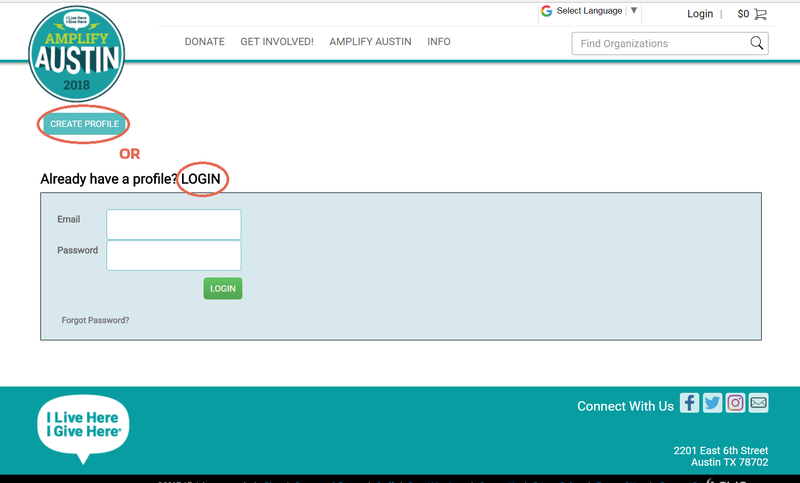 At the bottom of the page, you’ll see some of the great tools and resources Amplify Austin provides for fundraisers! We think one of the easiest ways to engage your friends and family is to write them a short email or post on your social media page. Tell them why you support We Are Blood and send them a link. You can even send them this blog post! We love you all so much and are so grateful for your support. Together, we can #AmplifyATX!